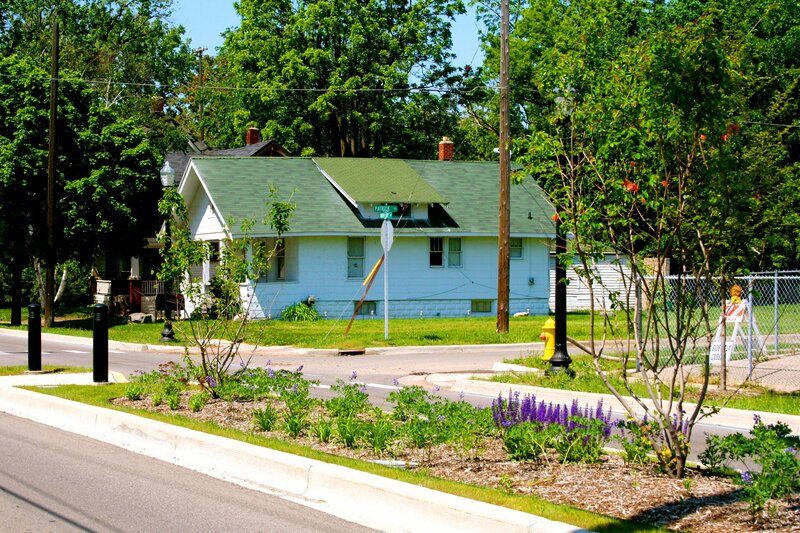 Youth Violence Prevention Through Environmental Design (CPTED), a project of the Michigan Youth Violence Prevention Center, aims to study the effects of environmental design on crime and youth violence. The project is in partnership with the University Avenue Corridor Coalition (UACC), a local community-based coalition in Flint, MI. The UACC was established in 2012 to implement Crime Prevention through Environmental Design (CPTED) activities to address blight and crime hotspots, improve neighborhood health and safety, stabilize land use, establish leisure and recreational areas, and create and improve communication links and education in the area. UACC is a broad-based coalition of neighborhood and community groups, universities, local businesses, health care and social services organizations and law enforcement in Flint. This funding will allow the group to expand their neighborhood and blight elimination efforts to a wider area and evaluate the effects of their projects on crime, injury, property conditions and neighborhood perceptions. More information about the YVPTED is available from the MI-YVPC website.